The naturally superstitious Scorpio has every right to conjure an extra person around when he (or she) is dealing with a Gemini, born under the sign of the Twins. Only one person is visible, of course, but this man’s or woman’s twin (or triplet or quadruplet) eternally hides in the ethers, ready to pop out at the most disconcerting times. Most people don’t know they’re dealing with a multiple when they associate with a Gemini, but Scorpio suspects the truth of the matter right away. Scorpio suspects everything right away. It’s difficult, if not impossible, to fool a Scorpion for long. The suspicious nature of these people prods them to penetrate mysteries like Sherlock Holmes, but they seldom discuss their conclusions with any Dr. Watsons. What Scorpio knows, he keeps to himself (or herself, as the case may be). As I’ve said before, Scorpio, above all, seeks Power. Knowledge is Power, so why give any of it away? Which brings us to a rather obvious tendency of – not all – but most Geminis: talking. Sometimes, they even go so far as to gossip. At the very best, they usually don’t count to ten before speaking, a habit which can upset the more taciturn and reserved Scorpios, even though Gemini words are often lovely bubbles of light and joy. Not that Scorpios can’t be loquacious too, at times. They can be – the rare ones. But most Scorps would rather be seen than heard, and preferably not seen if they can possibly help it. I’ve mentioned elsewhere that many Pluto-ruled men and women and children have this thing about wearing dark glasses to help keep their incognito status undefiled. Even those unusual Scorpions who chatter have a knack for talking about everything except what is really important. They seldom discuss anything truly personal- about themselves, that is. Anything personal about someone else they will gladly discuss, unless they’ve promised to keep it a secret. Then their lips are closed as strictly as with the seal of the confessional. It’s a rare Scorpio who breaks a promise. Keeping a promise is a point of honor with these people. And so the verbal dexterity of Gemini, not to mention the Geminian childlike attitudes of innocent fun and frolic, can annoy Scorpio, unless he or she has the natal Moon or Ascendent in an Air or Fire Sign. Pluto-ruled men and women not only look askance at a loose tongue, they don’t trust childlike innocence either. Scorpio is a lot of things, but “innocence” is not the word an astrologer would choose to describe this Sun Sign. Scorpios have what can only be called a dominating disposition, ranging all the way from brooding sulkiness to cool withdrawal (sometimes arrogance) when things don’t go their way. 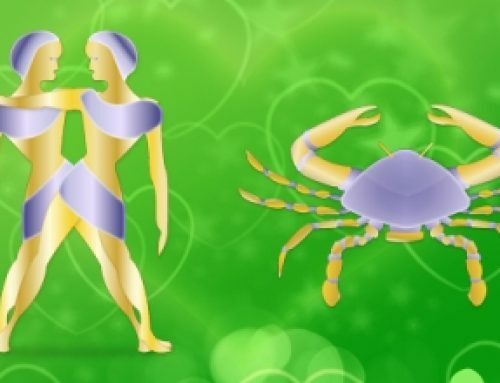 At other times, Scorpio can be gentle, sensitive, com-passionate and fanatically loyal- but never truly warm. Gemini is likewise often accused of lack of warmth. (Water and Air Signs both seem cold and detached to those born in the Fire or Earth elements.) 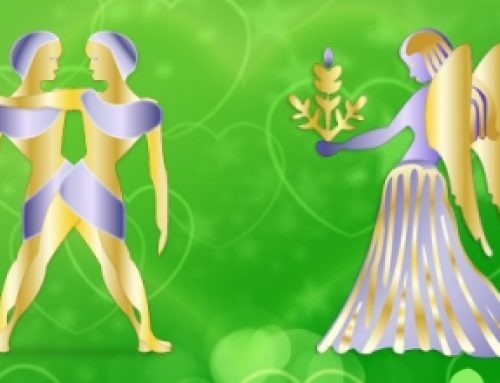 As for loyalty, Gemini, as we all know by now, is not famous for loyalty – if the true meaning of the word is unswerving devotion to one person, one idea or one ideal for a lifetime. Gemini does like to swerve! These people have difficulty remaining interested in one topic for a full twenty-four-hour day without swerving and veering into a different direction – let alone for an entire Life-span on the planet Earth. Without periodic variety and changing scenery, however, the average Mercury Bird would suffocate from sheer boredom. Like all 6-8 Sun Sign Patterns, unless they are born into the same family circle as relatives, or involved in a business association, Gemini and Scorpio might never meet without someone else introducing them. Lacking a Sun-Moon harmony between their mutual horoscopes, these two normally don’t have enough in common to feel any pulsing vibrations across a crowded room and usually need third-party intervention to become acquainted. However, once they are accidently tossed together by some innocent bystander, who has no idea what may result from this mixing of Air and Water, their 6-8 Pattern will invariably cause the relationship, whether friendly, business or emotional, to consist of much service and devotion on one side and an inexplicable magnetism on the other. 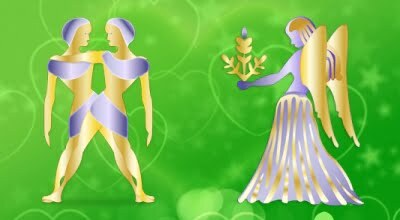 Incongruously (in an astrological sense), the service and devotion usually flows from Scorpio to Gemini – the magnetic attraction from Gemini to Scorpio. One might say that Gemini represents one mystery Scorpio cannot completely penetrate, and there is precious little Scorpio cannot penetrate. It’s indisputably frustrating to the Scorpion, but frustration is sometimes synonymous with fascination when taken in small doses, infrequently. Taken in large doses daily, it can remove a lot of sting from Scorpio and cause some dulling of the childlike innocence of Gemini, ruflling the feathered wings of the impatient Mercury Birds. Clever, intellectual Gemini is a walking, talking Question Mark (with emphasis on the talking), constantly curious and occasionally spurious. Scorpio is a firm Period, at the end of Knowing, the ultimate punctuation in the power of concentration. Geminis normally have varying degrees of trouble concentrating, their attention span sometimes being as brief as the time it takes a butterfly to hover over one blossom or a bird to remain perched on one branch. In addition to being intensely domineering at times, Scorpio is also intensely proud and ambitious, in a disguised, quiet and unobtrusive way. As a matter of fact, Scorpio is privately intense about everything. Intensely ruthless, intensely loyal, intensely compassionate, intensely cool, intensely secretive, intensely mysterious. These people do nothing in half measures, never mind how harmless and sweet they seem on the surface. If they are your friends, they are your friends all the way up to heaven and all the way down to hell. If they are your enemies, the same geographical route of extremities and polarities is followed. 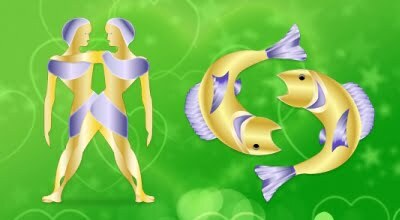 If Scorpio does nothing halfway, then Gemini can be said to do everything halfway (or one to three-quarters). Geminis never devote all – every shred of themselves – to any single person, idea or project. Only small fragments, chips and pieces, occasional crumbs. You see why they might never notice each other in a crowd? 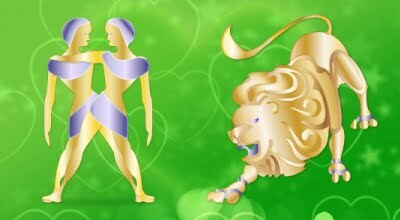 Although these two Sun Signs are different in motivation, character and personality, the differences can be intriguing. Scorpio will never learn all there is to know about Gemini, and cares deeply about the failure. Gemini will never totally plumb the awesome depth of Scorpio, and couldn’t care less. Not really. To Gemini, all the fun is over when the riddle is solved. It’s the changing dialogue and the fun of guessing the plot that excites Mercury people, not the denouement of the final scene. Like Virgo, Gemini has a speculative and analytical nature, producing a marked tendency to read between the lines, therefore to often imagine that people mean more than they are saying. 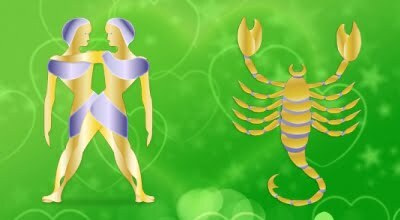 Scorpio is no slouch in this department either, although the basic cause is different. With Gemini, it stems from quick intellect, Mercurial curiosity and analytical urges – with Scorpio, from plain old fashioned fear and suspicion. Ask Gemini to sit on a particular couch, and he or she will probe your psychological and emotional purposes for choosing that couch, whereas Scorpio will be positive there’s a bomb wired beneath it, rigged by computer to explode. There’s a slight difference in their attitudes, but the end result is much the same. It’s impossible to keep a secret from either Sun Sign, or to retain one’s personal privacy around them. 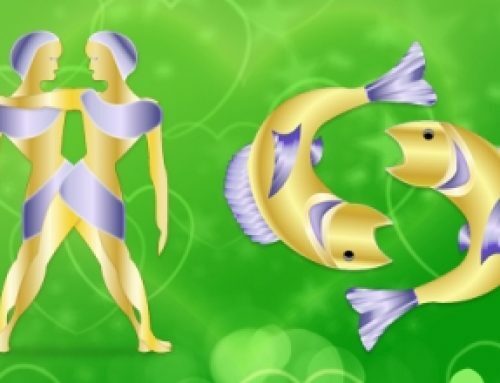 When it is Gemini and Scorpio who are suspecting, analyzing and probing each other, rather than one of the remaining ten Sun Signs, it’s like watching a couple of pretzels caught in a Chinese chain-lock puzzle. They each create their own individual auras of mystery, and they both like to solve mysteries. But Gemini’s mysterious aura is carefree and variable, consisting of unpredictable switches of pastel colors, light and shadow, and rapid changes of thought – while Scorpio’s auric ethers of burgundy-shaded mystery are much more complex, with an emphasis on the shadows, lying in far deeper and unfathomable wells, sometimes with a touch of the sinister when influenced by the negative side of Pluto. Slowness in others is a constant source of irritation to the bright, alert, impatient Twins, the most typical of whom are periodically high-strung and nervous. Scorpios are also periodically high-strung and nervous, but heaven forbid that anyone should ever catch them showing it! 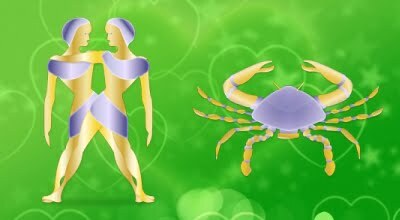 The more apprehensive Scorpio is feeling within, the more sure, confident and secure he (or she) appears to be outwardly. Since every inwardly experienced feeling and emotion flits across Gemini’s features, lighting up his (or her) expressive, fast darting eyes, you should have no trouble deciding where to place your bets to win in a poker game. When the poker game is a relationship of any kind with each other, the stakes can be desperately high for Scorpio, yet it’s still only a game to Gemini, whatever the size of the kitty or the pot. If one game is lost, figures the Mercury Bird, there’s always another, just down the road. Scorpio does not take losing so lightly. In fact, the Eagles take losing very, very heavily. Losing, to Scorp, is a humiliating experience, degrading, perhaps even cause for inner panic. (Scorp never displays outer panic.) Gemini tosses Life’s dice with a fine, detached and careless abandon – Scorpio, with cool shrewdness, and then only after carefully calculating the odds. Life’s dice, that is. In an actual dice game, Gemini calculates rather coolly and precisely himself – or herself. The fast Mercury mind figures the house percentages in a flash. Let’s see if you can straighten out these pretzels of intrigue. They just walked into the room. One of them has glided in noiselessly, almost unnoticed, and stands quietly, while gazing steadily into your eyes. You ask a question, this one remains silent, not answering immediately. The other, has skipped, hopped, or flown into the room, perhaps strumming a guitar, tossing a tennis racquet in the air, and dangling the end of a sentence. You ask a question, and this one will jet a convoluted answer in your direction, then quickly head for the bowl of cracked walnuts on the table. Which one is which? Think you know? All right, the first one described is a Gemini. The second is a Scorpio. Are you confused, mystified? Then you haven’t been paying close enough attention to the hints in all the various Gemini and Scorpio chapters of this book. 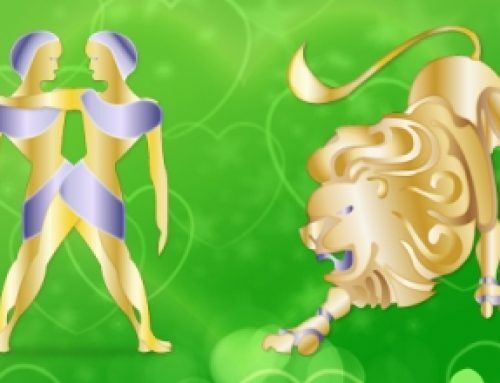 The Gemini was tricking you into believing he-she is cool and poised, using one of Mercury’s multiple identities, as smoothly as a seasoned actor slips from one part into another. The Scorpio was wearing one of Pluto’s Halloween masks, feigning a casual unconcern and light flippancy to hide his or her quivering intensity. Now, do you understand the problem? They didn’t notice each other at all. Go on – walk over and introduce them, but the responsibility is yours, not mine. If their Moon Signs are compatible, they can create haunting, misty dreams together. After all, isn’t a fine mist the result of a blending of air and water, in Nature? But if their Sun and Moon Signs are square or opposed, the result will be fog – and in a heavy fog, Mercury Birds can’t fly, while Scorpions make little progress along the seashore.